The lashes packed in individual box including the glue. The lashes comes with outer box and stored in plastic packaging. What I love the most is the plastic packaging also comes with cover. Usually false eyelashes only comes with a single plastic packaging without cover, but this one comes with a cover, so even I don't bring the outer box, my lashes are still dust-free yay! 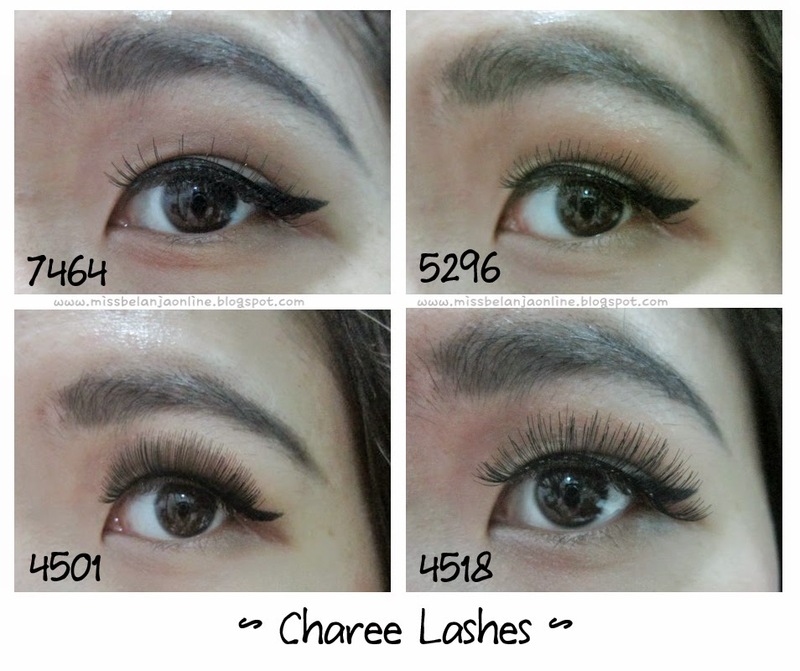 I got 4 different lashes from Charee, the first one is Charee 7464. All the lashes are very lightweight even the thickest one. Charee 7464 and 5296 are very natural and I think it will suitable for daily use or when I hang out with my friends or BF. While Charee 4501 and 4518 is more suitable for party or important events. All lashes are reusable and glues are included in every packaging~ yay! 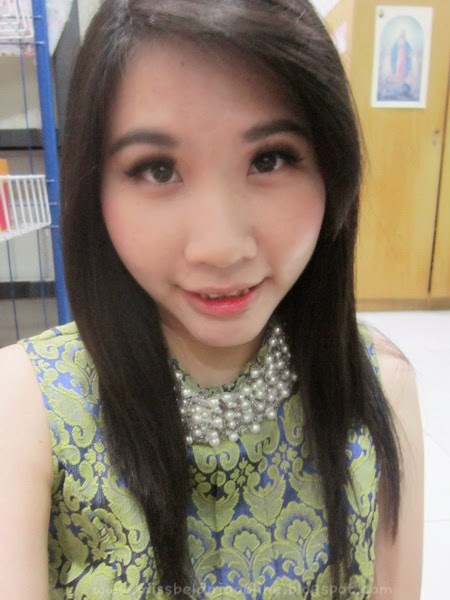 Charee 7464 is very thin and lightweight so you barely can see it on my eyes if you're not come closer hehehe (I have monolids eyes). 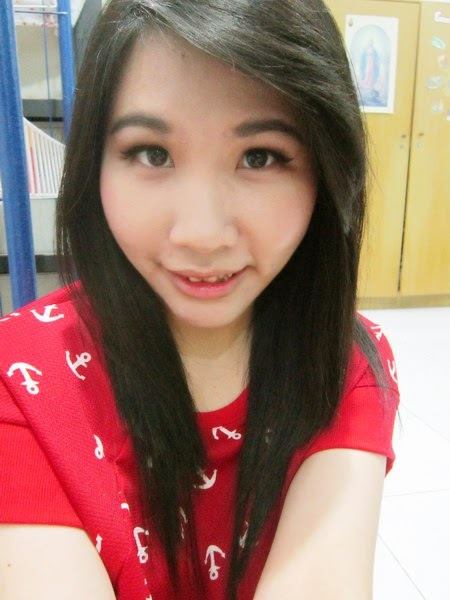 I try to use it alone and it doesn't really make any difference on my eyes but still it makes my eyes slightly bigger. hehehe. Charee 5296 is somewhat similar with Charee 7464 but this one is thicker. It makes my eyes more popped but still looks natural and not to much. This one is my favourite. Charee 4501 make my eyes really big with thick and long lashes. It is also very black. 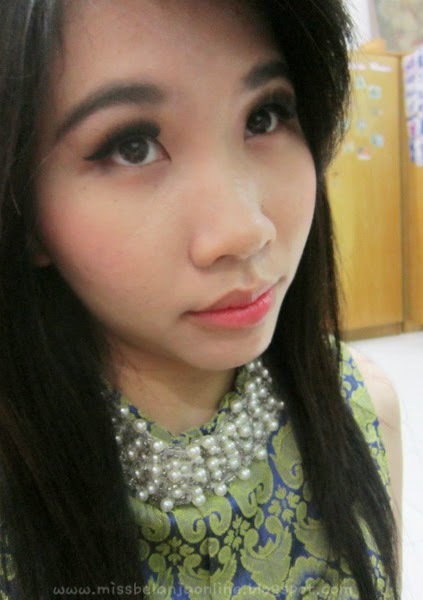 This one is my favourite for party make up. Charee 4518 is the longest~ but still comfortable to use. err I think I need to trim more because the lashes number 4518 look too long for my eyes in the picture but to lazy to take new picture because It's already late when I decide to play with these lashes..hehehe I promise I will make another FOTD post with Charee Lashes. wow! the lashes look really long!! Beautiful eyelashes, there are tutorials about minimalist makeup? The lash quality looks really good - I've been obsessing about falsies lately! *__* My favourite is 5296 as well!